Welcome to Episode 12 of Daily Darkness, hosted by Steve Taylor. 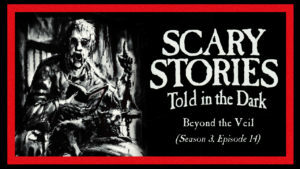 In this episode of Daily Darkness, our tale of terror comes to us from Otis Jiry, curator of the Otis Jiry Channel and host of the Scary Stories Told in the Dark podcast. If you enjoy what you hear, you can listen to more of them on YouTube, where hundreds of additional tales are available, absolutely free, or check out dozens of episodes of Scary Stories Told in the Dark, available on iTunes, Stitcher, and wherever else podcasts can be found. You can also follow Jiry on Facebook, Twitter, and Instagram get their latest updates and show your support. Tonight’s tale was written by author Paul Breen, Jr. and voiced by Otis Jiry. Original score by Jesse Cornett.